Learning to improvise in the pentatonic box is a first step to exciting guitar solos! How do you improvise on guitar? 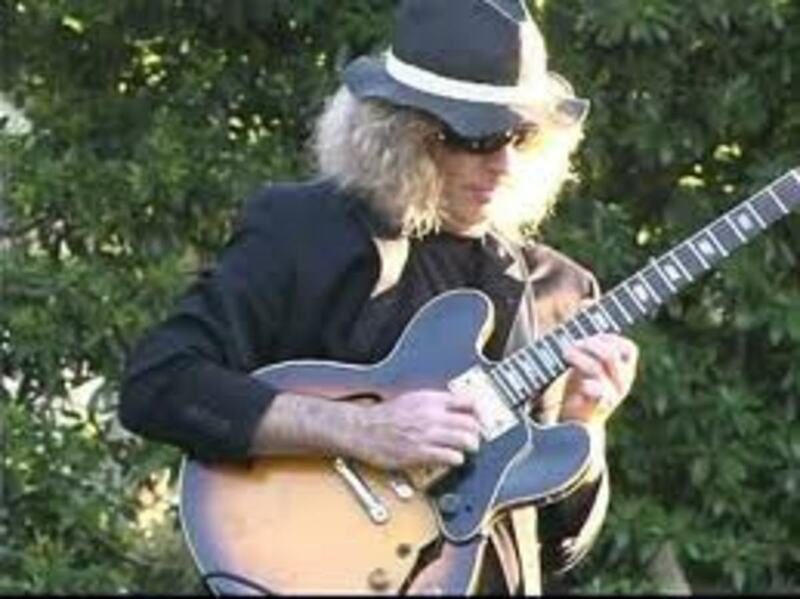 The key to easy improvisation is understanding what works best and what works best is usually the pentatonic scale. The most useful scale for guitarists is the "pentatonic box" and this page will show you how to use it and how chords relate to it. Intro image and guitar graphics are all my own creation, please do not copy! How this works - on the left is the minor version. On the right you will see the major version. These are movable scales, so I have labelled degrees of the scale by numbers, not by note names - you can obviously use the boxes in any position on the neck for any major key and its relative minor. The keynote or ROOT is labelled R and is marked in red. This is the most important note and should be returned to most often when improvising. The second most important note is usually the 5th, which is marked in green. Blues notes, which may be played or bent up to, are marked as blue. Improvising in the Pentatonic Box - why is it easier? Why not start with the major scale? 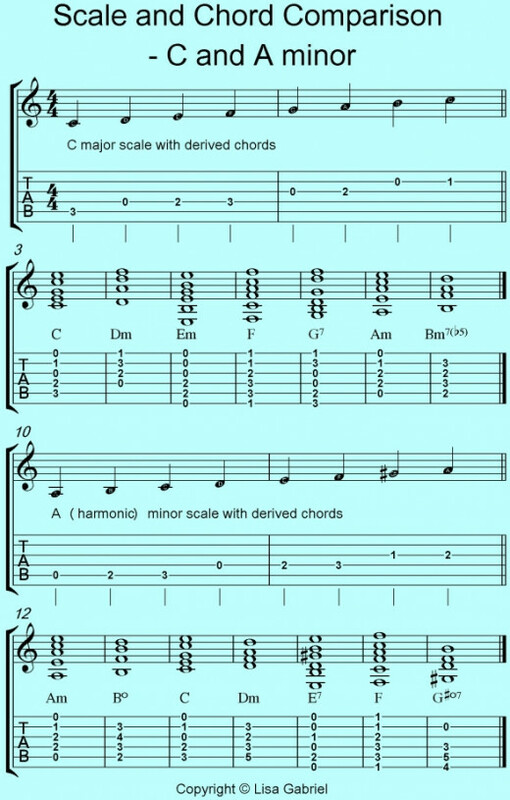 The very first scale we probably learnt in classroom music was the major scale, doh, re, mi, fah, soh, la, ti, doh. We might have sung "Doe a Deer" from the Sound of Music, we probably drew a keyboard and wrote C, D, E, F, G, A, B, C on the keys, we might even have done the "tone tone semitone tone tone tone semitone" thing, it is possible we were actually asked to make up a little tune starting and finishing on C - but could we easily improvise over C, F and G7 using those notes? My guess is that most of us couldn't do it very well, those of us who knew a little theory probably tried to play the notes of the chords, but when the tune was quick, we lost it.... and so we learned improvising was difficult from the very people who should have taught us it was easy. Then one day we would have met a kid with an electric guitar, saxophone or piano, who could blow us away with the blues, What was the secret of their genius? They knew how to avoid the notes FA and TI or F and B in our C scale example. These notes are great when you know how to use them, they provide the semitones that drive music forward and give the major mode its character but they also clash with some of the chords in that key - badly! That is why major scale improvisation is incredibly hard for most beginners and why teachers should be ashamed of setting the bar far too high for most kids! Single cutaway style Les Paul type basswood body guitar with two humbucker pick ups, 22 fret rosewood neck, accessories include spare string set, gig bag, picks and 15 Watt amplifier. Obviously these will also fit with the blues versions! The D5 chord is a power chord - it can exist as D major or D minor with box scales. Although we are missing F from both scales, the F chord itself will also work well with the pentatonic C and A minor scales. Record yourself playing a simple rhythm (maybe about 4 bars) on each chord, then try soloing - you should find it works fairly well. Superb Ibanez IJX20BKN Guitar Jumpstart guitar pack includes guitar, GTA10 10-Watt amp, Paul Gilbert DVD (English and Spanish), electronic tuner, gig bag, guitar strap, guitar picks, cable, and accessories pouch. Why not learn the rhythm guitar to these songs, then see which ones use the pentatonic box or blues scale in the lead guitar? You can check them out on my profile. Playing in the pentatonic box.... - Or thinking outside the box? You decide - you can type whatever you like in the search box to find it on Amazon, or simply browse through these pentatonic gems! Apart from the G#, they are the same but with a different ROOT or anchoring note. 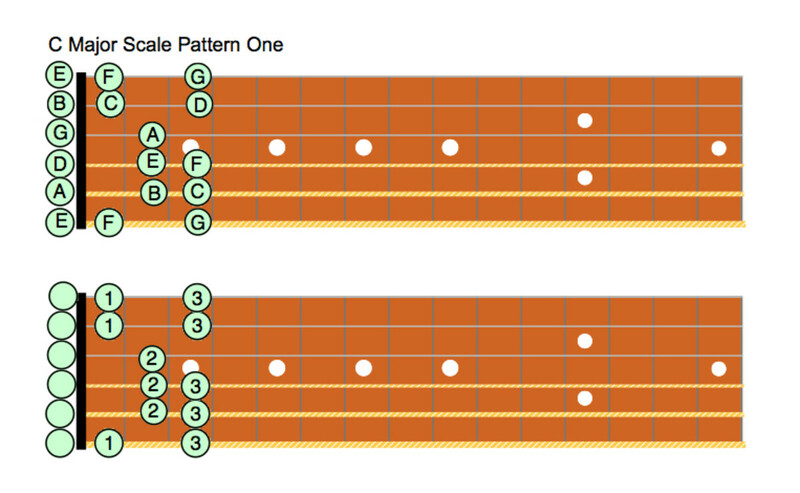 The notes contained are identical, one scale is a "mode" of the other. 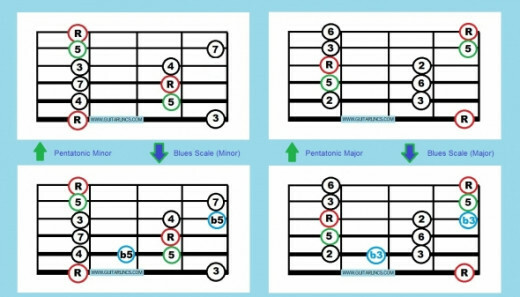 The pentatonic modes do not have the awkward notes in, so you can focus on the root, the fifth and the melody without fear of painful "crunches"
Record yourself playing each chord over a simple rhythm for about four bars, then try to "solo" with the major and minor scales given here. 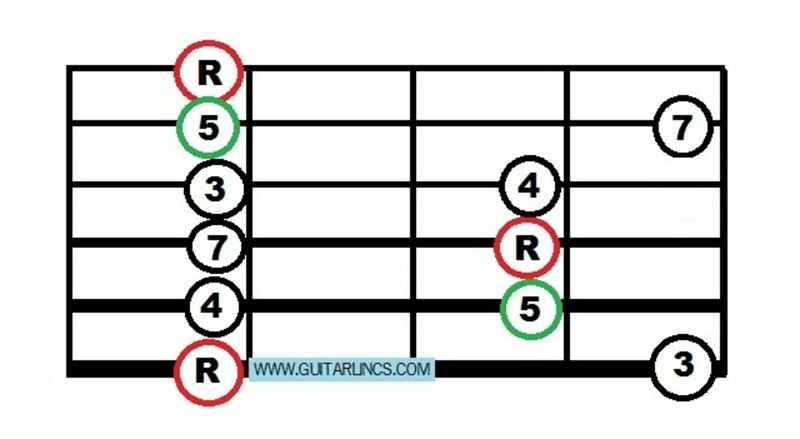 Note which notes don't "work" with each chord and which notes do work best. If you want to play jazz, you need to improvise. If you want to improvise, where do you start? 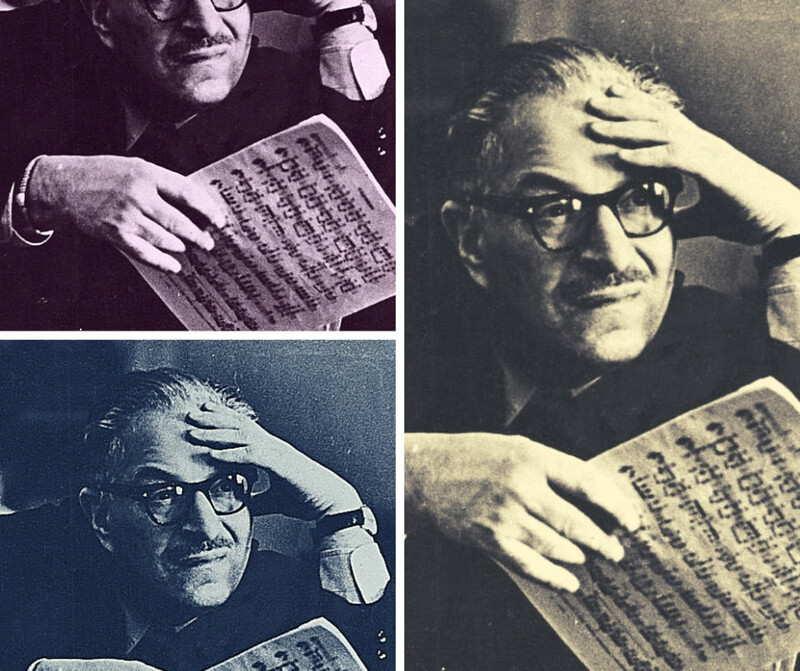 How do you teach improvising too? Here are some great books to help with teaching improvisation. 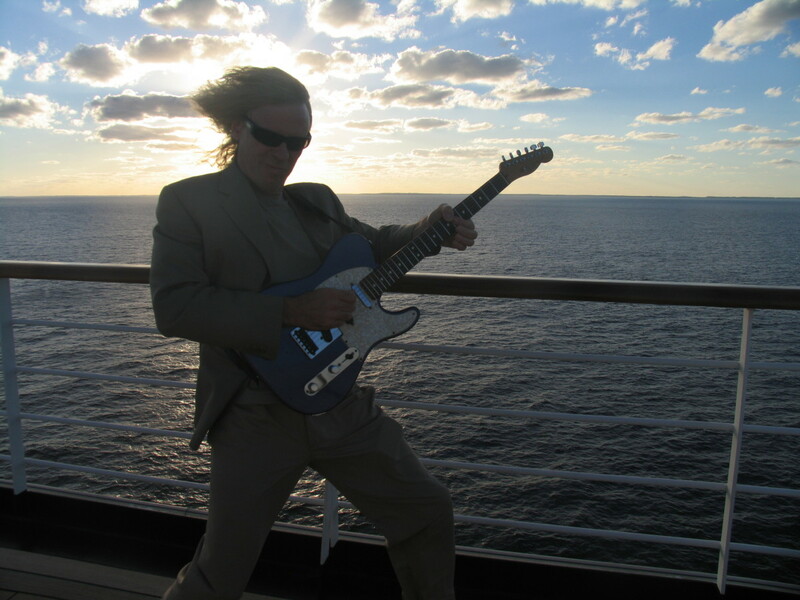 Now, whether you play guitar or any other instrument, I hope you will experience the fun of jamming without fear! Thanking you for visiting Improvising in the Pentatonic Box - I hope you found it useful! Clear and succinct - this will benefit a lot of guitarists. Very helpful lens. 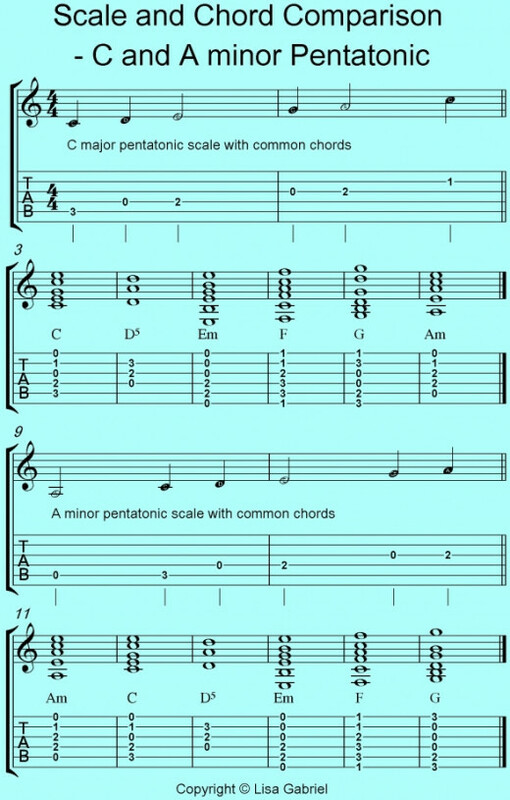 Pentatonic scales are the most versatile scales and has a lot of scope for creating melodic solos or riffs. Listening to a lot of blues songs will give a lot ideas for improvisation. To start with B.B. King's licks and riffs are the best for beginners. 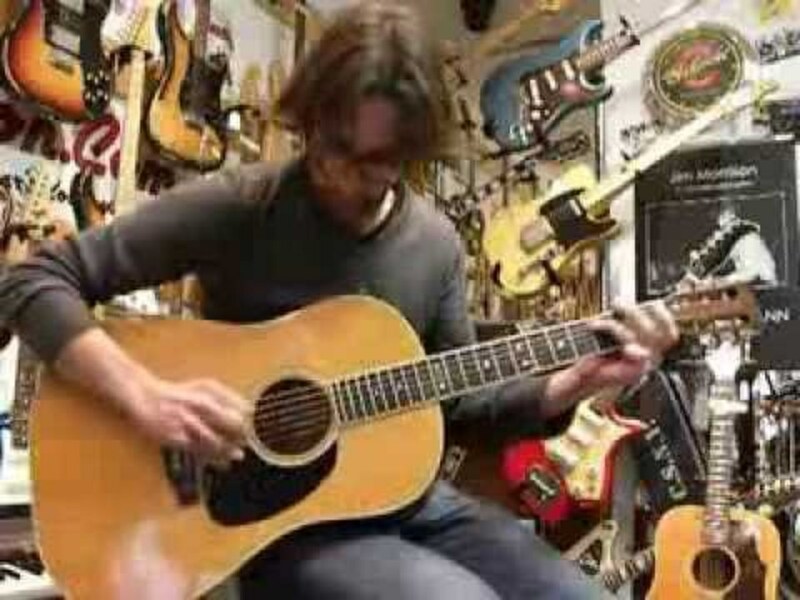 You will get a lot of improvisation ideas from his style. Another tip for improvising on scales is to first practice the scales on different positions ! the box is very easy to move into from other positions as well. B.B. King's little sweet spot moves easily to the pentatonic box. good lens. For someone who has very little technical knowledge of the subject, this article has made it so much more clear. Awesome! This is such a good explanation!